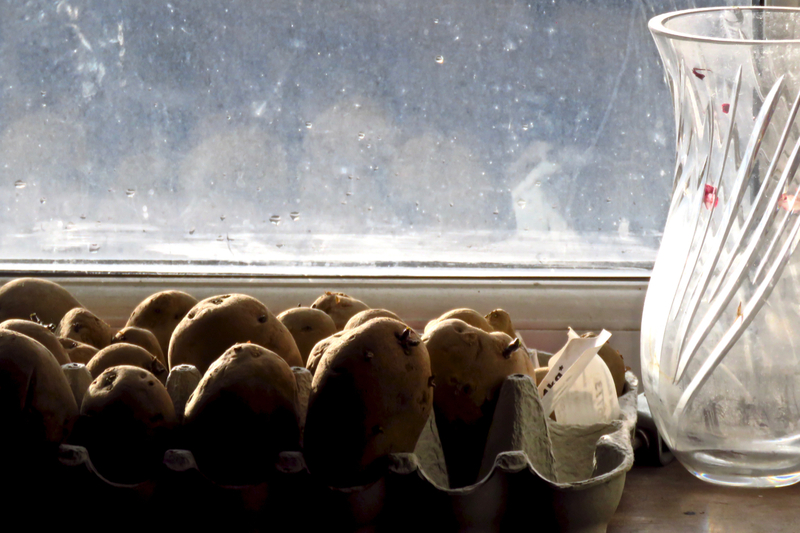 A day spent working at home whilst a series of bands of rain hurled themselves past outside — although the sun is briefly shining on this shot, illuminating the coming year’s seed potatoes as they start to wake up. We were all cosy in the warmth inside, not looking forward much to going out, if truth be told. It’s a small digital clock powered by two zinc and two copper rods stuck into two potatoes. Hence, a potato clock. Well, the run of landscape shots had to come to an end at some point, but I guess we can still call this ‘nature’? Always nice when the garden starts paying off to some extent. 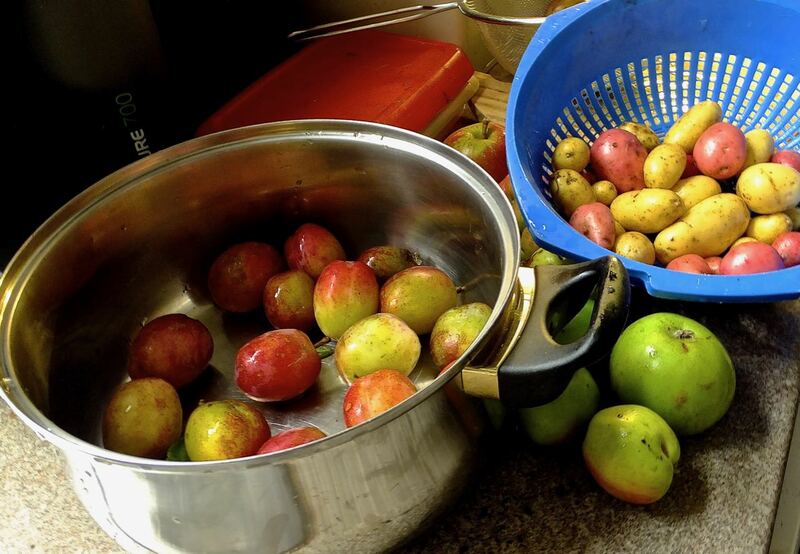 Plums, apples, potatoes, picked up at the allotment on this drizzly late August afternoon. It’s my birthday tomorrow, which means two things, first that the title of this blog is going to be three years out of date, and therefore, that I have managed to document three full years of my life as of today. Exactly one-fifteenth of it in fact. It’s another point when I might have considered stopping, but there are enough things coming up that will be interesting to document so I’m not bored enough yet. See you tomorrow.